An exceptional newly built 3 bedroom re-sale apartment close to the Municipal Gardens and within walking distance the beach. 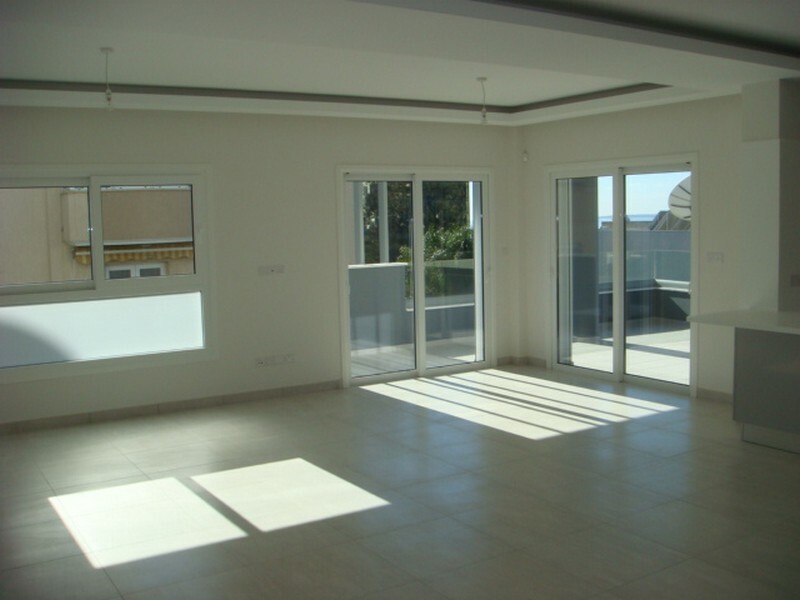 This superb apartment is located on the 3rd floor and has approximately 190m2 of covered living space plus a spacious covered balcony/terrace with beautiful part sea views. Build by one of the most reputable building contractors this residential complex is of the highest quality and includes the latest security technology. Security entry through to the car park and security coded entry to the building and TV monitor entry from the apartment. Internally the apartment is offers the sense of quality and luxury with design ceilings and lighting, tablet system air condition, electric heating, master en suite, a guest toilet, a fully fitted luxury kitchen and high quality parquet floors in all bedrooms. Private secure parking and a storage room are also included. A truly superb apartment located just a few minutes’ walk to the beach and all local amenities.